There has been a lot of talk about the tax law that has been signed into law and is in now in effect, mostly in terms of who benefits and what impact it will have on the economy and the Federal deficit. But the new tax law also impacts the value of businesses and may explain a good portion of the run-up in public stock prices. How? There are three basic drivers to value: Returns, Growth, and Risk. The new tax law directly impacts the first drive, returns, and indirectly impacts the second driver, growth. Under the new tax law the corporate tax rate has been reduced from 35% to 21%. From a value perspective, this translates into higher company after tax profitability. For example, a company that reports pretax profits of $1 million will have net income (after taxes) of $790 thousand under the new tax law – up from $650 thousand under the old tax law. How does this impact value? The following simplified computation illustrates the impact. For illustration purposes, let’s assume a required rate of return for the business (or capitalization rate), which captures risk, is 10%. That is, investors demand a 10% return on this investment based on the perceived risk in the profits continuing, given some expected growth. Under the 2017 tax rate of 35%, that implies a value of $6.5 million. But with a lower tax rate of 21% in 2018, that value goes up to $7.9 million, or a 22% increase in value resulting from lower tax rates. But wait, there’s more. If tax cut proponents are to be believed, lower taxes, both personal and corporate, will spur economic growth as individuals and companies have more after tax income to spend. Increased demand increases business activity and businesses have more profits after taxes to reinvest. So let’s assume that profits grow 10% as a result of stronger economic activity. Pretax profits grow from $1 million to $1.1 million and net income (after the lower tax rates) grows from $650 thousand to $869 thousand. (see below). That implies an increase in value of 34%! What about other businesses that have some sort of pass through tax status such as S-Corporations, LLCs and partnerships? While after tax profits will go up, the new tax law is not nearly so clear on how much, though it will likely not be near the reduction available to C-Corps. Consequently, increases in the value of pass through tax entities need to be considered on a case by case basis. The Notice reports points out that the Treasury and the IRS issued 105 temporary, proposed and final regulations between Jan. 1, 2016, through April 21, 2017. Of those, about half were minor or technical in nature and generated only minimal public comment. 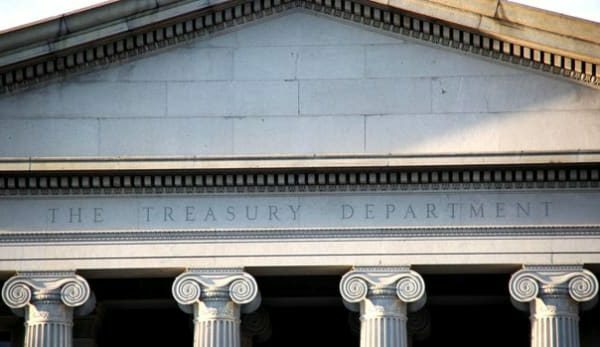 The Treasury treated the remaining 52 regulations as potentially significant and reexamined all of them for the purpose of compiling an interim report. Based on its review, the Treasury concluded that 8 of the regulations meet at least one of the first two criteria specified by Trump’s executive order. It intends to propose reforms to these regulations, ranging from streamlining problematic provisions in rules to full repeal of the rules in order to eliminate or reduce the burden of compliance to the regulations in a final report to President Trump. Of interest to business owners, business appraisers and estate planners and other trusted business advisors is the Notice’s inclusion of the proposed but yet to be implemented regulations on restrictions on liquidation of an interest for estate, gift and generation- skipping transfer taxes (REG-163113-02; 81 F.R. 51413). Section 2704(b) of the Tax Code provides that certain non-commercial restrictions on the ability to dispose of or liquidate family-controlled entities should be disregarded when determining the fair market value of an interest in the entity for estate and gift tax purposes. The proposed regulations would create an additional category of restrictions that also would be disregarded in assessing the fair market value of an interest. Some people who commented expressed concern that the proposed regulations would eliminate or restrict common discounts, such as minority discounts and discounts for lack of marketability, which would result in increased valuations and transfer tax liability that would increase financial burdens. Commenters were also concerned that the proposed regulations would make valuations more difficult and that the proposed narrowing of existing regulatory exceptions was arbitrary and capricious. The Treasury Department is accepting public comments concerning this and the other proposed 7 regulation modifications or eliminations through August 7, 2017. Advent has 25 years of experience preparing valuations and discount analyses for estate tax, gift tax, and charitiable contribution purposes. Contact us if we can be of service to you. In part one of this post I presented a very simplistic value model and showed how the fourth way to grow your business, increasing the effectiveness of each process in your business, provides opportunities, though limited, in growing value. What about the third way, increasing the average sale? First you can cross sell or up sell an existing transaction. Dell does this every day by offering upgrades, add-ons, installation, expanded support and warranty programs during the on-line shopping experience. So do the big box retailers, when they try to sell extended warranty and maintenance plans on electronics and appliances. Second, you can raise your prices. Most business owners react to that suggestion with the response, “I’ll lose customers!” That may or not be true. And unless you know which customers you might lose and how many (or what economists call elasticity of demand), you can’t know if this is a viable strategy. For example, if your price-sensitive customers purchase the lowest margin products or services, and they’re the ones who will leave, raising your prices will increase your profit margins two ways…first by eliminating the low margin transactions, thus raising your average margin, and second, by increasing the margin on the customers who are not as price sensitive. The key is measuring whether or not the increase in margin for the remaining sales is greater than the loss of margin on the lost sales. So how will increasing average transaction size affect value? 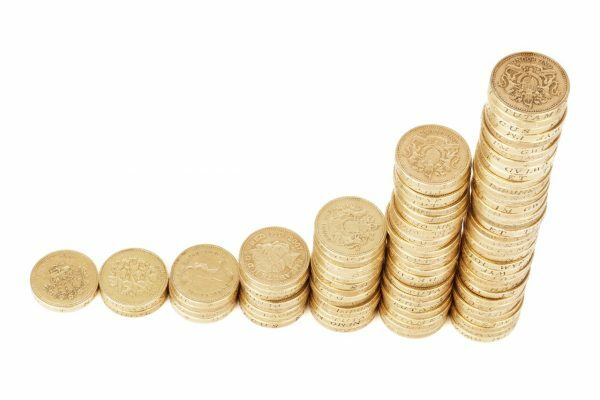 Net profits increase (most operating expenses will not be affected by this strategy, so much of the benefit goes right to the bottom line. Given such (and again assuming a stable operating company environment) you’ll increase the economic benefit (in this case profits), which grows the numerator in the value model and you’ll increase the growth rate, which decreases the denominator in the value model – both of which will increase value. This is part two of a three part series of blog posts on this topic. The first case that required my testimony in court 18 years ago involved economic damages from a failed real estate transaction. Retained by the Plaintiffs attorney, I calculated the loss sustained as a result of the actions of the defendant. The plaintiff, using a contract sale, purchased an old independently run RV campground from the defendant. The property was on a desert road that had long since lost its high traffic due to a new highway which diverted most of the previous travelers. The contract price was quite low and the defendant was glad to “unload” the property. 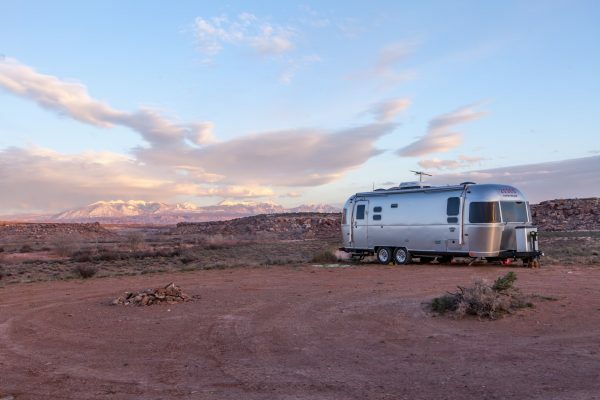 The plaintiff had the knowledge and experience that enabled him to convert the use of the campground from that of an independently operated destination facility to that of a membership campground, which was part of a nationwide network. Under the new use, memberships could be purchased like time-shares and then traded in a nationwide network for, perhaps, more desirable destination campgrounds. Under this new use, the property’s value rose sharply. The suit claimed that when the defendant realized how valuable the property was, given its new use, he sabotaged the transaction before all the improvements could be made and the new business could be established. Reasonable certainty is a legal principle that states that “lost profits damages” must be proved to a reasonable degree of certainty to be awarded. The measurement of the damages has a somewhat lower standard because such measurement is an estimate. Also, part of making a case hold to the reasonable certainty standard includes demonstrating causation. It must be proved that the defendant’s behavior was the cause of the economic loss. Given such precedent in the law, the lack of a history of earnings will not automatically deem future lost profits as speculative. But attaining “reasonable certainty” can prove to be difficult. Based on the facts and circumstances of this membership campground case and the strength of the track record and experience of the plaintiff himself, my calculation of losses met the court’s threshold of reasonable certainty. The plaintiff’s attorney proved his case and the claim of damages was awarded. In spite of the universality of this legal principle, the courts have never really defined what constitutes “reasonable certainty,” and case law differs among jurisdictions. Each potential case is unique and other legal principles in addition to reasonable certainty apply. But reasonable certainty that damages occurred must be proved before a claim of damages will be awarded. We would welcome the opportunity to discuss your particular circumstances to see if we can assist you with an economic damages calculation. 1 Vickers v. Wichita State Univ., 619; 518 P.2d 512, 517 (Kan. 1974). In 1979 Michael Porter wrote an article that was published in the Harvard Business Review, entitled, “How Competitive Forces Shape Strategy.” He subsequently published an expanded discussion on this in a published work in 1981. 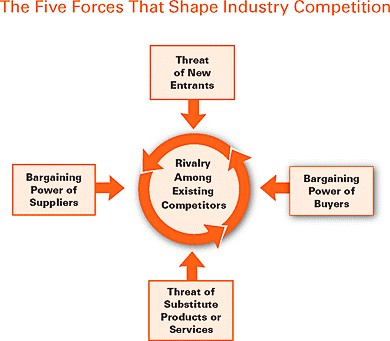 Porter proposed that the competitive environment can be analyzed through a five factor categorization (rivalry amongst existing competitors, threat of new entrants, etc. – see below) and suggested that companies respond in one of three ways – cost leadership; differentiation from competitors; or focus on market segment(s). Essentially competitive pressure on a business can come from either vertical relationships or horizontal relationships, as well as from direct competitors. The more a business owner understands the forces, the better equipped the business owner is to not only respond, but proactively act against these competitive forces. The Harvard Business Review published Mr. Porter’s revisit to the subject in its January 2008 edition, entitled, “The Five Competitive Forces That Shape Strategy.” A link to a thirteen minute online video of Porter describing his updated article is available here. Why has Porter’s model endured? Because it is a simple, yet comprehensive way to analyze and understand the competitive environment in which a company operates. 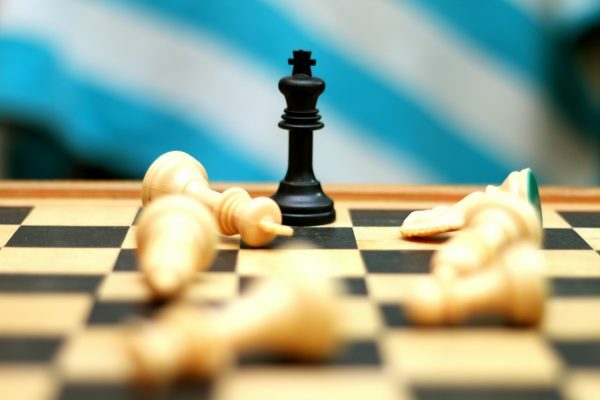 If we can understand our competitive environment, we can develop effective strategies to compete against our competitors – selling more and better margins. Who doesn’t want that? The nature of the business valuation environment requires us to remain independent and report on our opinion of value as an objective third party. However, there are times when we are engaged to consult with a client to help identify the specific value drivers of a business and estimate its range of value for the owners. In either case, business owners and their trusted advisors can glean from the insight gained from performing a valuation. Sometimes it takes an objective third party assessment to see things from a different perspective and reveal new insights about a business. We recently valued a small family owned parts supplier. The majority owner and manager of the business wanted to buy out his sibling pursuant to their buy-sell agreement. The business had been in the family for over 50 years. It owned the real estate where it was located, which was on a busy street in New York City. Behind the storefront was warehouse space with a garage entrance from a side street. There was another warehouse owned and used by the company a few miles away in an industrial district. 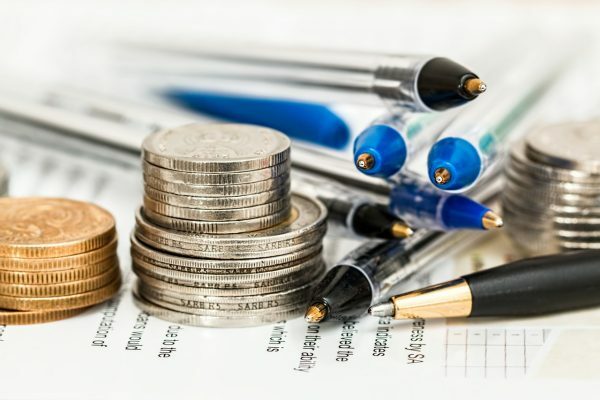 One part of performing a business valuation includes analyzing the subject company’s financial information, generally over the past five or more years. We also perform ratio analysis and compare the subject company to its industry peers. 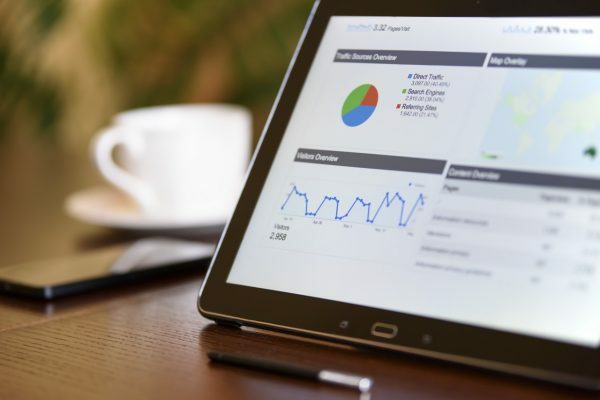 This overall financial analysis gives us insight into the business helping us determine its ability to compete in its market and helping to assess the risks specific to the subject company. 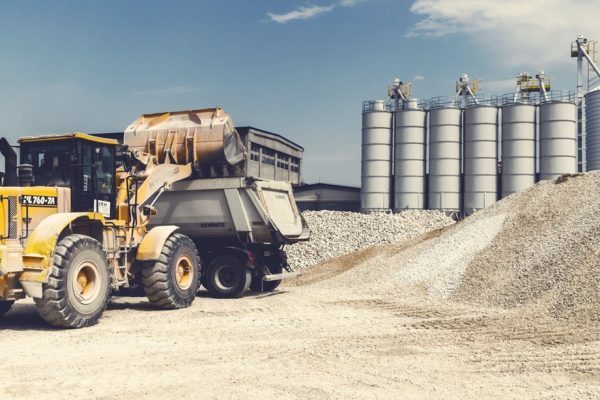 In this case, when compared with the averages of over 2,000 of its industry peers, balance sheet comparison and turnover ratio analysis indicated that the company was less efficient than it should have been with respect to managing its inventory. It was carrying as much as three times more inventory than its industry peers at any given time. After further management inquiries, it was determined that excess warehouse space allowed them to unnecessarily hang on to old and obsolete inventory, an estimated 30 percent. 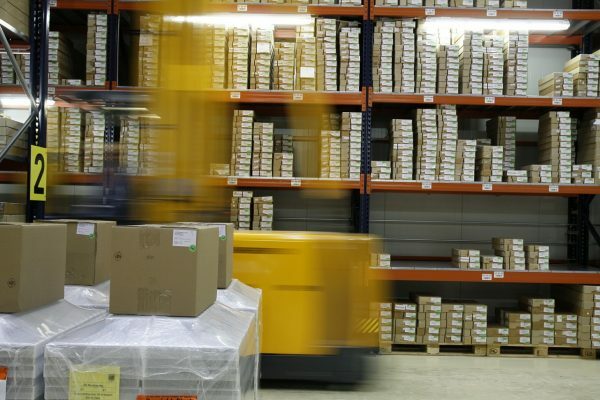 This led to extreme inefficiencies in the costs associated with poor inventory management and created an opportunity cost from excess real estate space that could be rented out. Industry research indicated that management in this industry should choose whether to focus on service and delivery or carry sufficient inventory in its walk-in location to be an effective “cash and carry” provider. Management had realized they were trying to do both. Their philosophy had been that since they had the space, why not use it. Upon reflection of which was most important, it was determined that service and delivery should be the focus since walk in traffic alone would likely not support the business. Once management saw the comparative evidence, the answer was simple. Reduce the use of excess capacity of storefront and warehouse space that could not be supported by the local demand and make it available to rent out to third parties. This reduced inventory carrying costs of the business and created a new revenue source for the owners. Operationally, management could then focus on maintaining the proper levels of inventory to maximize the utility of the reduced space. In this case Advent’s due diligence and analysis used for purposes of the appraisal of the company provided key insight to both the owner and his trusted advisor. They leveraged that insight into significantly improved company operations and profitability. When valuing a business or business ownership interest, generally there is an assumption that the value is inclusive of all the operating assets that are used by the business to generate revenues and the related profits and/or cash flow associated with the revenues. Knowing the value of the whole is sufficient for many purposes, including estate and gift tax related work and much of the litigation related work business appraisers provide. However, there are times when the values of specific tangible assets are needed, such as in a purchase price allocation to meet financial reporting requirements, or possibly for bank financing purposes, particularly when there is SBA (Small Business Administration) loan guarantees involved. In this context it is important to understand the various standards of value that are used in hard asset appraisal work. The standard of value employed can dramatically impact the concluded value and business owners, lenders, and accountants want to be sure all are on the same page. 1. Reproduction cost new is the cost of reproducing a new replica of a property on the basis of current prices with the same or closely similar materials, as of a specific date. What would it cost to reproduce the exact same physical asset in new condition? 3. Depreciated replacement cost new (or replacement cost, present age/condition or used) is replacement cost new less depreciation from all causes. This standard takes account of loss of value of existing item as result of age, deterioration (wear and tear), and/or obsolescence. It may or may not include make-ready costs such as delivery, installation, tooling, debugging, etc. Depreciation as employed by this standard of value is the loss in value from all causes, including such factors as physical deterioration and functional and/or economic obsolescence. a. Physical depreciation is a loss in value caused by wear and tear, etc. Physical conditions that affect value are deterioration from age, wear and tear from use, fatigue and stress, exposure to the elements, and lack of maintenance. b. Functional obsolescence is a loss in value caused by conditions within the property. Causes of functional obsolescence are lack of utility, excess capacity, changes in design or technology, and efficiency. c. Economic obsolescence is the loss in value caused by conditions external to the property. Causes of economic obsolescence may include government regulation, availability of raw materials, availability of labor supply, utilization or profitability of the asset, and/or reduced demand for the products produced by the asset. 4. Fair market value in continued use (value in use) is the fair market value of an item, including installation and the contribution of the item to the operating facility. This value presupposes the continued utilization of the item in conjunction with all other installed items. In theory, measure of economic contribution of asset being valued. In practice, however, it is usually depreciated replacement cost new plus delivery, installation, and other make-ready costs. This is the standard of value that business appraisers generally use for going concern asset appraisals and purchase price allocation. a. Orderly liquidation value is the amount of gross proceeds that one could be expected to receive from the sale of the appraised assets, held under orderly sales conditions, given a reasonable period of time in which to find purchaser(s) considering a complete sale of all assets “as is, where is,” with the buyer assuming all cost of removal, with all sales free and clear of all liens and encumbrances, with the seller acting under compulsion, as of a specific date. It assumes a reasonable time allowed to find a purchaser. One can think of used equipment values as generally applicable here. b. Forced liquidation is the estimated gross dollar amount that could typically be realized at a properly advertised and conducted public auction held under forced sale conditions, with a sense of immediacy, under present-day economic conditions, as of a specific date. It assumes a lack of adequate time to find purchasers; essentially a “distress” ( or fire) sale value. Liquidation costs may apply in either case, including commissions, administrative costs and losses that may continue during the period, legal and accounting costs, and taxes. If you have a need to have specific tangible assets valued, we can help. Call us. How Would IRS Proposed Changes to IRC 2704 Affect Valuation Discounts? Earlier this month, the IRS proposed regulations that could seriously curtail the use of valuation discounts associated with transfers of intra-family interests held in privately owned businesses. The net effect of the proposed regulations is that family members of family owned businesses would be treated more like a single owner by disregarding certain fractional ownership interest characteristics. This comes from the IRS’s long-standing aversion to valuation discounts in family business succession and estate planning strategies. Determination of the fair market value of an equity interest requires an analysis of the inherent investment characteristics. The two investment characteristics most often considered are those related to control, or lack thereof, and those related to the lack of marketability. Attributes of an ownership interest that increase the risk of holding an investment will inherently reduce the value of that interest, which is the basis for valuation discounts. For example, a fractional interest in an entity with limited rights to affect change in that entity inherently has less value than it would if such rights were not limited. Also a fractional interest in a closely held enterprise inherently has no ready market of buyers. The value of such interest is further limited when a shareholder’s agreement restricts an interest holder’s rights on how it can sell its interest. 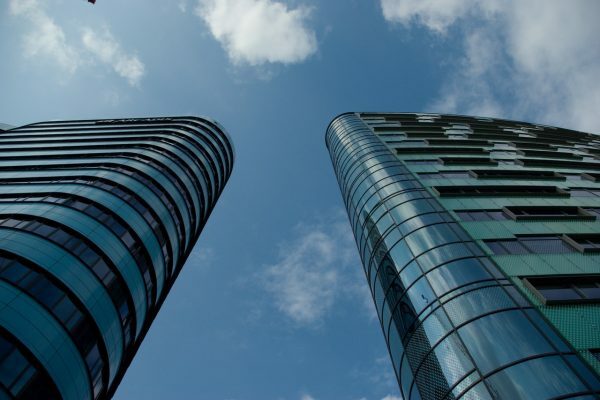 However, the proposed regulation would place significant restrictions on what can be considered when determining adjustments for lack of control and marketability used to arrive at a valuation of a fractional interest in a family owned business. Although not inclusive of all the changes, the proposed regulations address what constitutes control of family limited entities, transfers with certain time frames and refines select definitions, including a three year lookback on such transactions. Do the proposed regulations go too far? Do they violate the fair market value standard of a hypothetical willing buyer/seller? There are many questions that need to be answered as this proposed regulation gets debated. But time is short as there is a hearing on the proposed regulations on December 1, 2016. The new regulations will not become law until 30 days after they become final. If you have clients that may be adversely affected if these proposed changes become law, we would be pleased to provide valuation services to meet your client’s needs.